As we eagerly await your daughters’ arrival at camp, we want to share some of our thoughts and our philosophy on technology at camp. Technology can be wonderful and also a little scary. 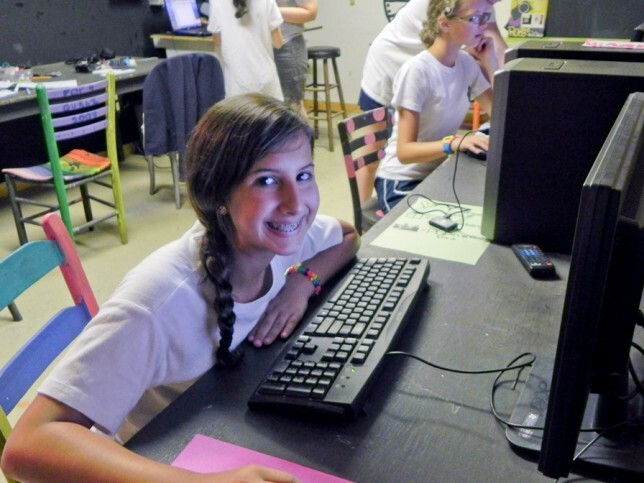 We want you to understand our thoughts on technology to ensure that your daughters get the most out of camp. Summers at Point O’Pines enable your daughters to develop new friendships, gain independence, and excel in their relationships with other people. Camp is often the first experience campers have in which they cope with situations and learn that they can solve problems themselves (often with some help from our staff). Camp is a unique opportunity for campers to develop these coping skills, and our policies are designed to complement this experience. Camp is a place where many learn the art of written communication. We hope you will treasure your daughters’ letters and enjoy receiving them. 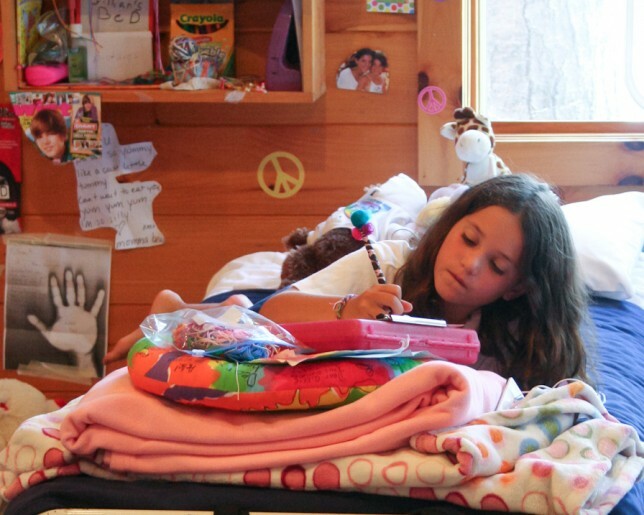 We encourage our campers to write home three times per week and we consider the process of writing home an important part of the camp experience at Point O’Pines. Writing letters is very different than the way we communicate in e-mails. Letters contain more complete thoughts and tell more of the “whole story” than e-mails. E-mail is pervasive, but camp is one of the few places where children write real letters. We also love to see the way your daughters’ eyes light up when they read letters written by you. We value this learning experience and we hope that you will too. We are committed to the written word over using e-mail terminals and instant messaging services. We encourage our campers to write home regularly and ask parents to do the same for their daughters rather than e-mail or fax. In society today, children spend a considerable amount of time on their computers, doing homework, having fun and even socializing via instant messaging or social networking websites like “SnapChat” or “Facebook.” E-mail, instant messaging, and social networking sites do encourage quick transactional messages, and there are also many handheld devices that now allow this kind of instant communication. These high-speed relationships are great in business, but we all value deeper, more meaningful relationships. Where else can you live with your friends each year for weeks filled with fun? Instant messaging or Internet-enabled devices are not allowed at camp. These devices include pagers, game devices or cameras with cellular, Wi-Fi, e-mail or messaging capability, such as the Nintendo DS, PlayStation Portable, iPod touch, iPad, e-readers like the Kindle or Nook, Internet-enabled cameras (with either Wi-Fi or 3G) like the Samsung Galaxy Camera or Internet-enabled smart watches. We believe that many forms of technology enhance your daughters’ summer experience and safety; however, we feel that even the possession of a cell phone can prevent your daughter from feeling truly independent and undermines her ability to gain self-reliance and to build coping skills. Of course, cell phones are also easily lost. Furthermore, at another camp a friend of a camper called to send condolences for a recent death in the camper’s family. At the same time the parents of the camper were on their way to camp to explain the loss to their daughter in person. The situation was made far more difficult for the camper because of the cell phone call. 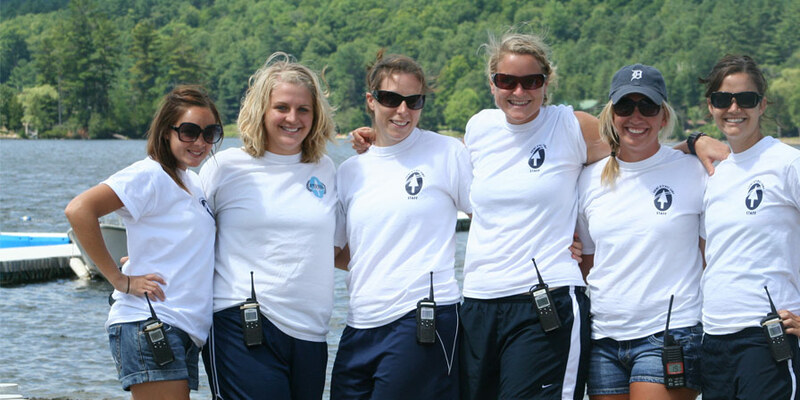 We will always make telephones available both for emergencies and for regularly scheduled appointments, and parents should always feel comfortable in calling camp Directors or Area Heads at any time. Campers are not allowed to bring their cell phones to camp. Children also want to share their memories of camp over the Internet. Campers often bring cameras, and bring home many photos and videos. These photos and videos, when uploaded to the Internet have a tendency to be seen by people for whom they were not intended. We worry about campers’ use of photographs and ask that you consider carefully with your daughters before allowing them to share these memories in e-mail or on the Internet. When posting photos of camp on the Web we are extremely careful to make sure that the content is appropriate and that children are not identified. We ask that you do the same with your daughters. Please remind them that the Internet is inherently a very public place and comments, photos and other media can spread very, very fast and cannot be taken back. Especially hazardous for children are the new Internet-enabled cameras with either Wi-Fi or 3G, such as the Samsung Galaxy Camera, that allow automatic posting of images to the Internet before there is even time for good judgement on the inappropriateness of the photos that the children might publicly and permanently share on the Internet. We require that campers and staff refrain from taking any photos or video inside a bunk or in any other setting that is not appropriate. As mentioned above, we also prohibit Internet-enabled cameras (with either Wi-Fi or 3G) like the Samsung Galaxy Camera. However, we do allow our professional photographers to use good judgment, in consultation with the Directors, for bunk photos and candid shots that are appropriate. As parents, we know that you care deeply about the media images to which your children are exposed. Parents have varying standards for what is appropriate for their daughters, so we feel that a conservative definition of “appropriate” is the right standard for camp. Technology has created more outlets for media than ever before. When we show movies to our campers we always think about appropriateness of the subject matter, but we are all aware of the devices that can show movies or other videos. At camp we are selective in harnessing the latest technologies to further our ability to provide your daughters with the safest, most secure and fun-filled summer possible. Behind the scenes we use technology to track important information such as whether we have received your daughters’ medical information, to maintain stand-by generators for use in case of a power failure, and to keep an eye on the weather using Doppler radar. We also use high-tech cameras in our video program, the latest digital recorders for the Team Sing and VHF radios in our water ski boats so that we are always in contact. any video device, including portable DVD players, the iPad, Kindle Fire, PlayStation Portable, and any other device capable of playing a video, movie or DVD (some iPod models and other music players are fine if they contain no video or movie content and do not have wireless or Internet capability). If any of these devices are sent to camp they will be confiscated and returned to your daughters at the end of camp. Unfortunately, since we spend all of our time with parents on Visiting Day we will not be able to return the devices to parents at that time. As you know, these devices are fragile and expensive so we are unable to accept any responsibility for their condition.